It was a cool winters evening in New Zealand and here I was, a humble supporter tuning into the late night cricket, brimming with optimism at the prospect of chasing down a reachable 239 to achieve glorious victory at Lords. We had come fresh of a hard fought 0-0 stalemate at home with the 'moral victory' (if such a thing counts for anything at all), the apple was ripe for the picking to give it back to the motherland at no other than the home of cricket itself. Mere minutes later alas, it was 29-6 at lunch and I amongst the few cheering the visitors on had no choice but to cave in and choose the infinitely more comforting warmth of the bed-sheets. It seems we were due for a moment of madness after three and a half tests worth of quality cricket, which is usually about three and a half more than what is normally produced. Despite all the doom and gloom that has triggered memory loss amongst most fans for the months before this ill fated match, there is room for optimism. 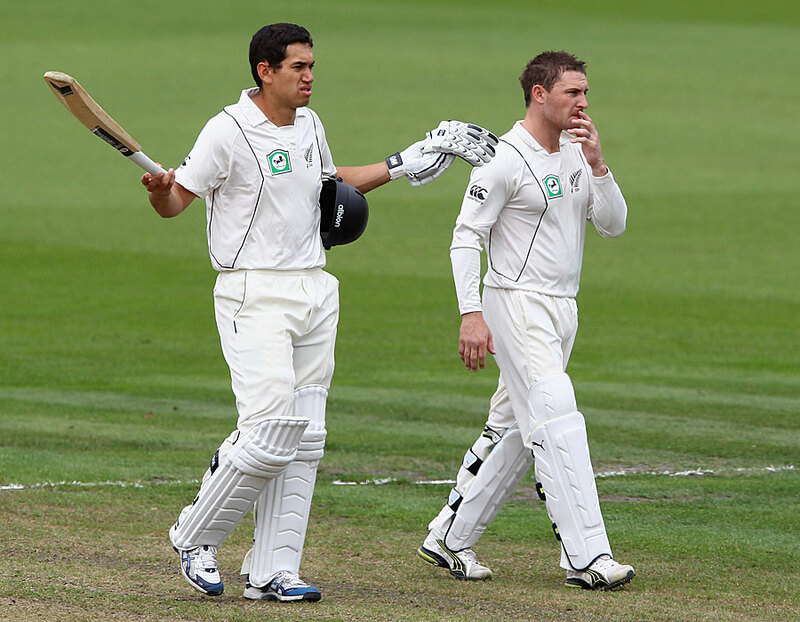 There were all sorts of shenanigans during the Ross Taylor vs Brendon McCullum saga as the battle between the humble crowd favourite and the cocky aggressor raged on. Every armchair critic and talk back caller had an ill opinion usually directed against the latter due to the poor handling of Taylor. But it is the latter who prevailed, and dare I say for the better. Yes he is cocksure and smarmy, but he's also an innovator as opposed to a reactor. When he came on board things started happening, he and Hesson have ensured us consistent selections, an aggressive mini-Australian attitude and the best use of McCullum with the bat, with middle order blasts as opposed to all or nothing approach when opening. Under him we have seen an ODI series victory in South Africa and the 8th ranked black caps giving it to the 2nd ranked English. We needed a leader, not a nice guy. Yes we have seen a fair amount of crap with it, but ranging between extremes is still better than a constant hopeless lull of mediocrity. We can thank our bowling coach Shane Bond for this one. How is it that a nation of green tops couldn't produce seamers for years? Perhaps they were always there but we didn't know how to unearth them (or in the case of Neil Wagner, import them from South Africa). Suddenly we have three seamers with a bit of pace to go with their swing ability and we have Tim Southee bowling like a spearhead and not a buffoon with a big mouth. Most importantly from a New Zealand perspective they are young and fit, the keyword being fit as Kiwi bowlers break down faster than Auckland's public transport. 3. What about the batsman? Kane Williamson is a class act and will be the best thing we have produced since sliced bread and Martin Crowe. We have the hit and miss whackjobs of Taylor and McCullum but honestly little else. The others will have their days along with a few too many off days along side that. And when they all have an off day... well that is when 68 all out happens. New Zealand will not be #8 for long, mark my words. This is slowly becoming the best test team we have produced since the days of the early 2000s when we were sticking it to the Aussies and the English through Nathan Astle mutilating cricket balls and Shane Bond cricket bails. So here's to better days than day 4 at Lords 2013.